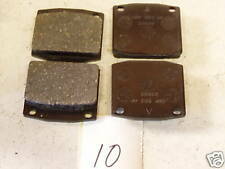 Nissan Sunny 120Y and 140Y front brake pads these are NOS have a small amout of surface rust to the rear see picture. Will fit models from 1979 - 1982 Any questions please ask. Part Number: PAD315 (Ref.Only). 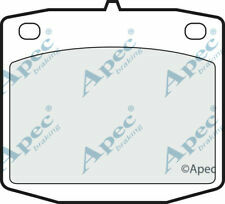 Manufacturer Apec Braking. 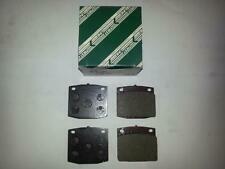 FRONT BRAKE PADS FOR NISSAN SUNNY TRAVELLER. Model: Sunny Traveller. Make: Nissan. Brake Friction. Body and Trim. Genuine Prices. Part Number : DP201. 1.4 (B310) (140Y). The radically improved Ultimax ECO friendly brake pad. If you thought this Ultimax brake pad was good, this one is even BETTER! Fully R 90 approved as was the original Ultimax grade. DP273 EBC Ultimax Front Brake Pads for NISSAN NISSAN TOYOTA Bluebird C Series Laurel Skyline 240Z 260Z Sunny Van Corona Cressida Crown. Greenstuff Brake Pads. Choose from EBC plain non drilled rotors or sport rotors in two choices – wide aperture GD Sport Rotors series for cooler running or new super silent UltimaxUSR slotted rotor series. DP2273 EBC Greenstuff Front Brake Pads for NISSAN TOYOTA Bluebird C Series Laurel Skyline 240Z 260Z Corona Cressida Crown. Greenstuff Brake Pads. Choose from EBC plain non drilled rotors or sport rotors in two choices – wide aperture GD Sport Rotors series for cooler running or new super silent UltimaxUSR slotted rotor series. Part Number : DP201. The radically improved Ultimax ECO friendly brake pad. If you thought this Ultimax brake pad was good, this one is even BETTER! Ultimax pads. Wash & Wipe. Be aware that your Model of Vehicle may have a choice of 2 / 3 different Brake Pads Options. HYDRAULIC DRIFT HANDBRAKE BLACK. COLOR: BLACK. material:Alloy Handle Anodised Black. We will reply you within 24- 48 hours. Part Number: PAD315 (Ref.Only). Manufacturer Apec Braking. FRONT BRAKE PADS FOR NISSAN SUNNY TRAVELLER. Model: Sunny Traveller. Front Brake Pads. Make: Nissan. 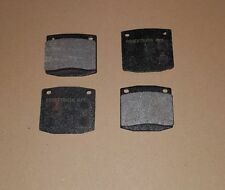 Quantity Brake Pads set(full). NISSAN : 41060W5625.